The 19th century was a good time for newspapers. With fewer competing media, papers had a huge readership, and with all those readers, a greater diversity of papers existed: not just news-oriented publications, but also story papers, agricultural papers, etc. One thing that a significant number of these papers had in common, regardless of other subject matter, was the inclusion of humor, either as “filler” material or as a regular column. 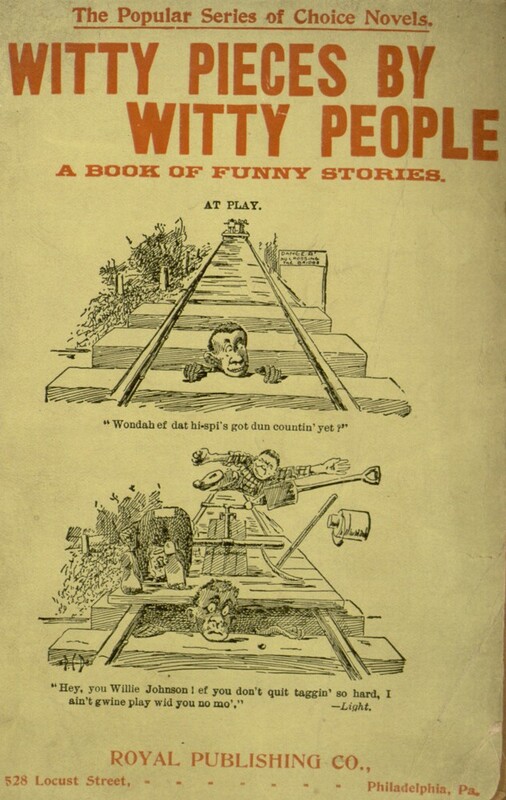 Our latest completed proofreading project, Witty Pieces by Witty People, published by Philadelphia-based Royal Publishing, is a book-length collection of humor and cartoons harvested from a variety of sources, mostly American and British newspapers. 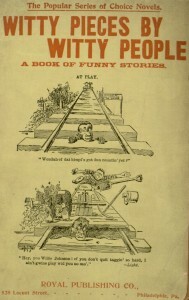 As with our previous “humorous” release, Atchoo!, very little of the humor remains funny to the contemporary reader, and a significant amount is offensive, but as a survey of jokes from a particular point in time, it makes an interesting study. “Tut, tut, my son, nobody would believe them,” answered the father. Some one suggests that John L. Sullivan‘s bust be placed on the new two-cent postage stamps. But Sullivan can’t be licked. For more, visit the Project Gutenberg page, where the entire text may be read online or downloaded in a variety of popular eBook formats.